H osts Brad Gerstman and David Schwartz talk to New York State Senators David Carlucci and Michael Gianaris. Senator Greg Ball grew up living on the Kennedy estate, where his parents were caretakers. He had a travelling petting zoo, and to this day, loves animals and outdoor activities. Senator Ball’s legislation, the NY Jobs for Heroes program, sets money aside for returning war veterans. It has passed repeatedly in the Senate, but not in the Assembly. We will see what may change since Governor Cuomo announced his support for the bill in his State of the State address on January 8, 2014. Be sure to visit Gotham Government Relations and Gerstman Schwartz Law. Brad and David take a look at the race for New York Mayor. Nassau Legislator Wayne Wink on his run for Nassau Comptroller. Gotham Talk Radio’s Brad Gerstman and David Schwartz talk about the state of Long Island and today’s political Talk Radio. Also – Nassau County Legislators Kevan Abrahams and Carrie Solages talk about today’s dysfunctional political environment and what it means for Long Island’s most vulnerable citizens. Leave your comments here and we’ll address them on the next show. Gotham’s Brad Gerstman and David Schwartz on the latest New York political news. Segment 1 – Junk falling from space, the rally to support Trump on the Ocean, David’s power outage tips and more blowback at the Long Island Power Authority’s response to hurricane Irene. Segment 2 – More Mayoral missteps from Michael Bloomberg, the GOP’s 2012 problem and…. 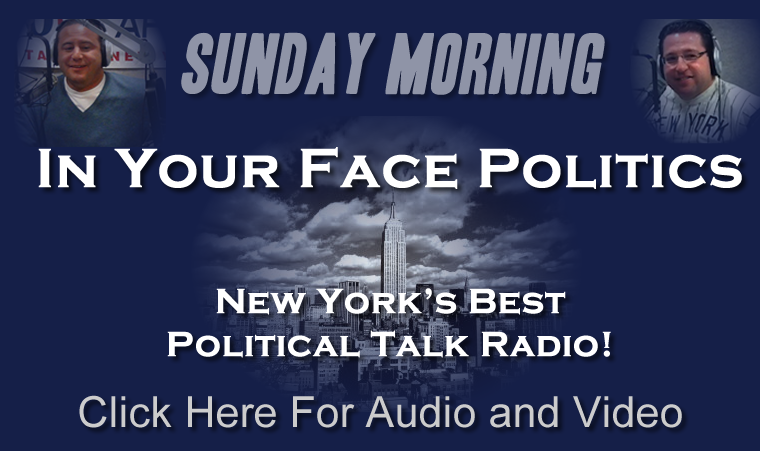 Gotham Talk Radio’s “In Your Face Politics” show this Sunday featured an interview with potential New York City Mayoral Candidate, John Catsimatidis. The show, hosted by New York Politicos Brad Gerstman & David Schwartz, can be heard on New York’s hottest Talk Radio Station, AM 970, The Apple, every Sunday Morning, from 10-11AM on Gotham Talk Radio (www.gothamtalkradio.net). The trio discussed the big events of the week, including, of course, the death of Osama bin Laden, and the role Pakistan played in this monumental event, and it can be listened to here: http://gothamtalkradio.net/videos/sunday-may-8-john-catsimatidis-michelle-drayton/. When pressed by Schwartz and Gerstman, Catsimatidis went on to explain further. 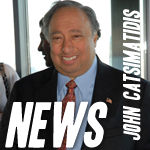 “Catsimatidis has a real understanding of domestic and foreign affairs, and while his commentary is provocative, he makes some very valid points,” Gerstman said. “In Your Face Politics” is a key show on The Apple’s provocative line-up of nationally syndicated shows, with hosts like Dennis Miller, Bill Bennett and NY’s own, Curtis Sliwa. Brad Gerstman and David Schwartz are founding partners of Gotham Government Relations and Communications, one of New York’s State leading full-service advocacy firms. The 50,000 watt AM 970 can be heard everywhere in the Metropolitan area and streams live 24 hours a day on www.am970theapple.com. Those not in the Metropolitan area can hear this week’s and previous broadcasts of Gotham Talk Radio on the show’s live stream, http://gothamtalkradio.net/. Listeners should submit their questions & comments via Twitter, @GothamTalkRadio, to hear them read aloud on the air. For more information on Gotham Government Relations & Communications please visit:http://www.gothamgr.com.